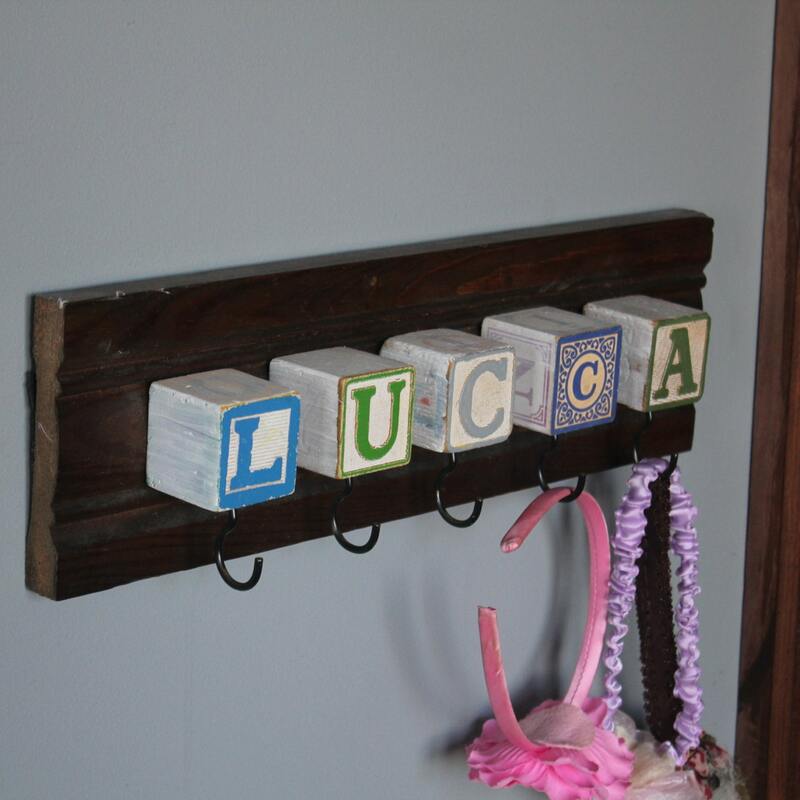 This beautiful wood finish board has five vintage baby blocks attached to it spelling your custom name. 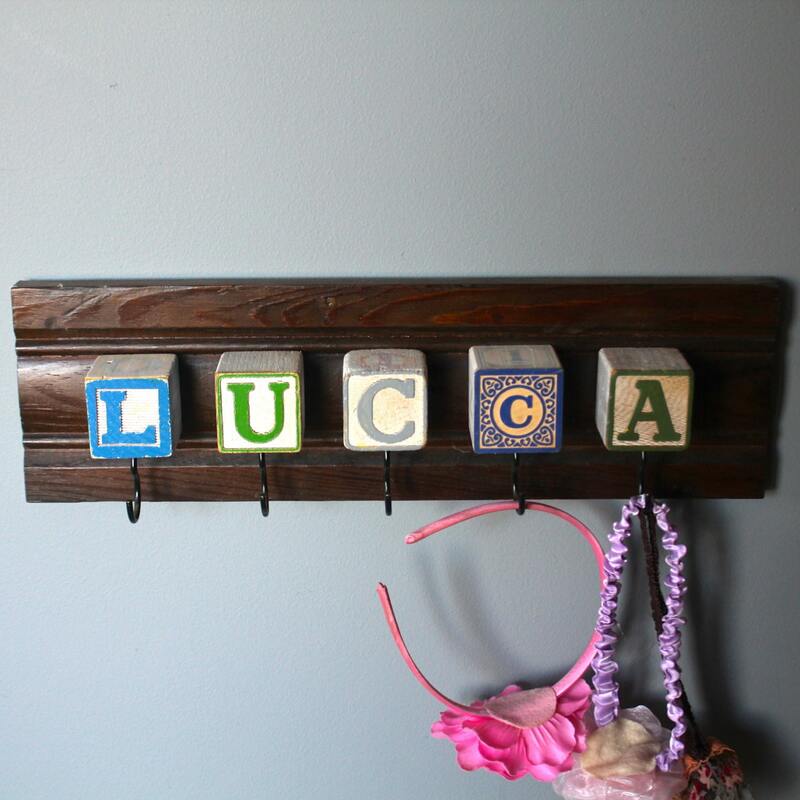 Makes a wonderful, unique, customized baby gift. 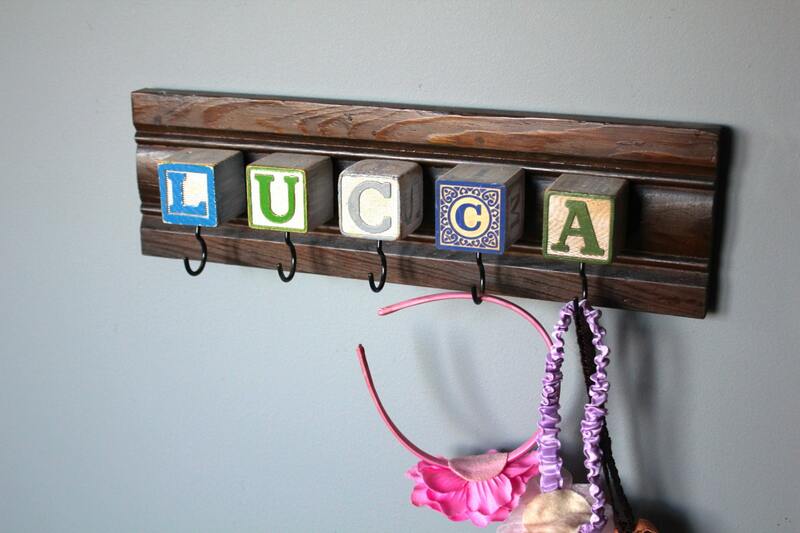 This photo shows an example spelling "LUCCA." All blocks are approx. 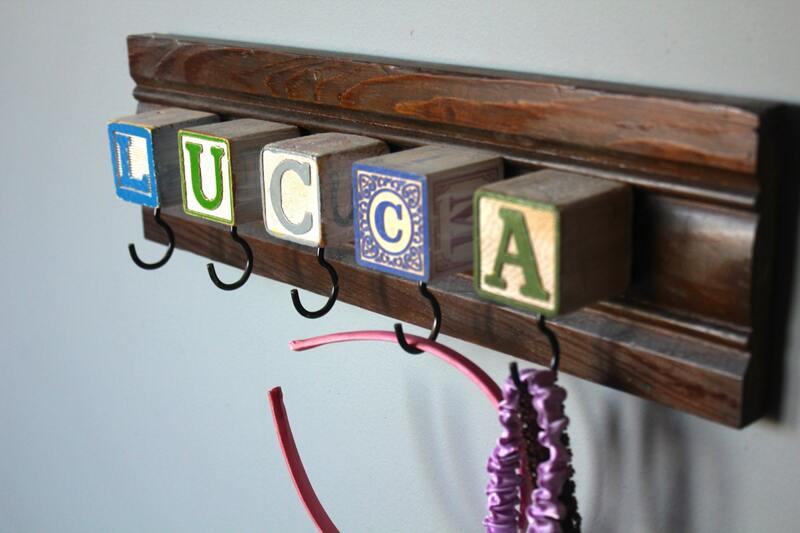 1 3/4" vintage blocks and vary with colors and style. 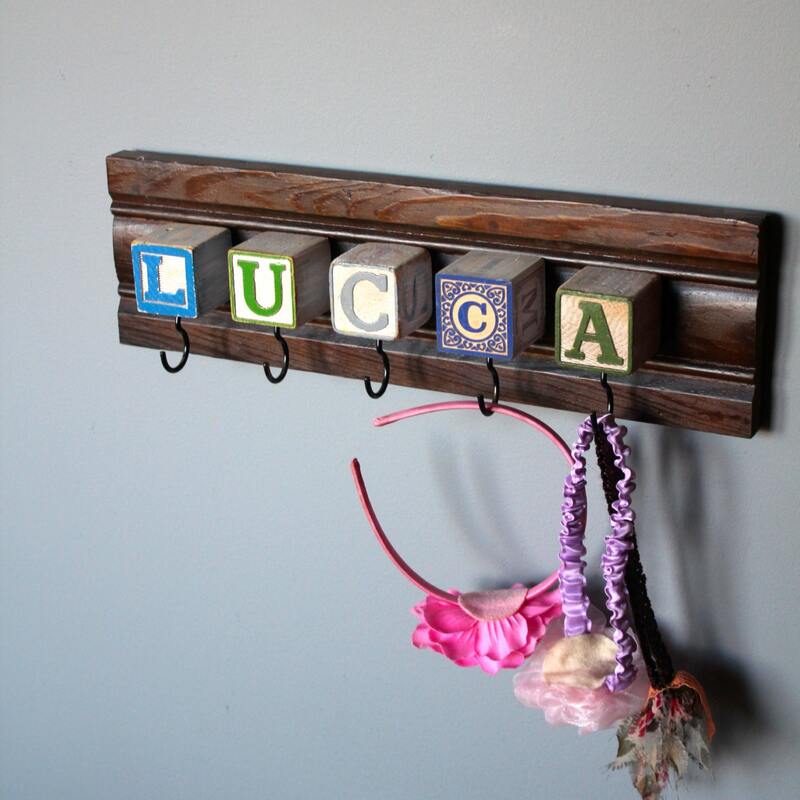 I will custom create the hook rack and send you a photo of three arrangements to choose your favorite. It will take approx. 1-2 weeks for custom orders. Over six letters will require a custom listing with additional costs for more letters. Please convo. me with any questions! Each block has a black1 1/2" cup hook under it for hanging anything from bonnets to small jackets. Size approx. 14" x 5"
Vary depending on name size.